With temperatures predicted to be in the single digits this weekend, the ponds will begin to freeze. This hardly means the ponds can be considered safe to venture on to for any reason. The ponds are retention basins and are subject to unnoticed fluctuations of water depth. This makes the ice very unstable and it can easily break. Please talk to your children and teens and warn them to stay off the ice, both around Muirfield Village and those on the neighboring golf courses. These ponds are never safe for playing ice hockey or ice skating. Signs are posted reminding residents that swimming, skating and boating are not permitted, but people have been seen on the ponds already this week. When we are alerted, we make every effort to remind them to stay away from the ponds. However, it takes everyone to prevent a tragedy. If you see anyone on the ice, please say something to them. If its during business hours please call the office at 614-889-0922 and our staff will intervene. Dublin has an ice rink and sledding hill open to the public, weather and temperature permitting. Visit the Sledding and Ice Skating page to learn more. If you have started using a new email address in the past year or aren’t certain if we have your correct email address, pleaseupdate your email address hereor email[email protected]with your name, Muirfield street address, and preferred email address. It is especially important to give us this information if you receive your invoice and voting ballot in email.Without your correct email address, we will not be able to send you either. This could cause you to miss your invoice (and possibly incur late charges) and you may not receive your ballot. Annual assessment invoices will be mailed sometime soon but an exact date has not been determined, so please send us your updated information by the end of this week. Yes. If your mailbox is damaged, it must be repaired or possibly replaced, depending on the extent of the damage. The repair cost will depend on the extent of work the mailbox needs. You may fix your own mailbox, but it must beidenticalto the other units on your street. If your mailbox is damaged by the snowplow or other city vehicle, report it to the Streets and Utilities Department at the City of Dublin at 614-410-4750. (Note: trash and recycling trucks are not city vehicles; they are owned by Rumpke and are discussed below. )Give them your name and Muirfield address and let them know your mailbox was damaged by a snowplow or other city-owned vehicle. Be sure to emphasize that you live in Muirfield Village. If a third party admits to damaging your mailbox and agrees to pay for repairs, ask them to call the office at 614-889-0922. Once they call the staff will repair or replace the mailbox and send an invoice to them. Residents may request repairs by calling the office at 614-889-0922, emailing[email protected], orby placing a request in the members area. If a third party has damaged the unit, residents shouldnotcontact the office. Rather, they should contact the party who damaged the unit and ask them to call the office at 614-889-0922. As stated above, they will need to supply the address of the damaged mailbox, their billing information and any other pertinent information. If you have questions about mailbox replacements or anything else, please call 614-889-0922 orcontact the office. The City of Dublin has posted the following information about snow removal. Priority 1:Major arteries are plowed first. These streets will continue to receive treatment as long as weather conditions continue. Blowing snow and freezing roads once snow has thawed can require continued treatment. Priority 2:Main roads through subdivisions, streets connecting two or more priority 1 streets. These streets will be plowed and salted once priority 1 streets have received treatment. Priority 3:Residential streets, courts, cul-de-sacs and alleys will be serviced once priority 1 and priority 2 streets are cleared. Multi-Use Paths:Paths that have been determined high-traffic routes for schools are cleared first, followed by paths used for recreational use. 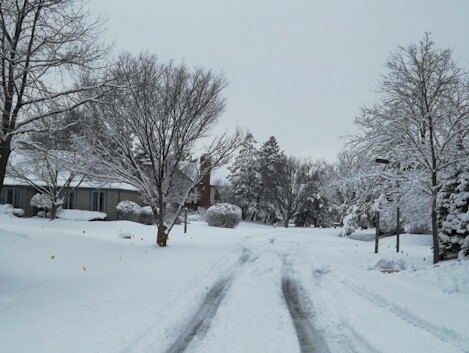 For seasonal information on snow and ice removal, call 614.410.4750 or visithttp://dublinohiousa.gov/services/snow-removal/. During a snow emergency, snow removal information can be obtained by calling Streets and Utilities at 614.410.4750. Do you want to know what's happening with snow removal? Get information in real time with the City of Dublin'sSnowGo!